Das Lenovo Moto E4 ist ein gutes und hochwertiges Einsteiger-Smartphone. Die Bedienung läuft flüssig und ohne Ruckler. Auch die Ausstattung mit Fingerprint-Sensor und echter Dual-SIM-Funktion sprechen für das Moto E4. Vergleicht man das Smartphone mit anderen Geräten, fällt auf, dass der größte Konkurrent aus dem gleichen Hause kommt: Das Moto G5 bietet für einen ähnlichen Preis eine spürbbar bessere Ausstattung. Mit den unverbindlichen Preisempfehlungen bleibt Lenovo unter der 200-Euro-Grenze. Für das Moto E4 ruft der Hersteller 159 Euro auf, für das Moto E4 Plus sind es 199 Euro. Nachdem ich beide Geräte ausprobiert habe, wünsche ich mir eine Mischung aus beiden. Denn jedes hat seine Vor- und Nachteile. Priced at Rs 8,999, the Moto E4 offers decent specs at the sub 10k price point. It has a good build, decent display, latest software and offline availability. While the Moto E4 will not be the best smartphone in this price segment, it offers good value for people looking for latest stock Android experience without any bloatwares. Moto E4 brings many improvements compared to its predecessor but at the same time has kept its low price. The device comes with renewed design which although makes its body slightly heavier and with a thicker profile, it certainly gives the feeling of a more elegant model. Moreover, you are also presented with а fingerprint sensor. We also enjoyed the presence of two SIM slots and a separate microSD slot. All that said, the phones work amazingly well. Effectively the hardware in the devices is similar to what flagship phones had about 3 to 4 years ago. Using the phones invoked in me a bit of a sense of time travel as if I had gone back in time and grabbed a smartphone off the shelf. However, buyers today get the benefit of improvements to the Android operating system as well as app developers continuing to streamline and optimize their apps. So although the hardware may feel like a bit of a step back in time, actual operation of the phones leans toward a much smoother, snappier experience. As far as $249 smartphones go, the Moto E4 is hard to beat. Sure, some corners have been undeniably cut. However, where it counts the experience is a whole lot better and smoother than a lot of what else is out there. Additional inclusions like a fingerprint sensor and support for Nougat’s Google Assistant contribute to making the E4 feel a whole lot more expensive than it actually is. Lenovo Moto E4 is a truly splendid gadget in the field of camera and battery segment. The camera segment has 8MP and 5MP focal point while the battery area is comprised of 2800 mAh battery. It has 2GB RAM with 16GB interior stockpiling besides it is outfitted with further good features. In, general the gadget has awesome highlights in extremely reasonable value run. 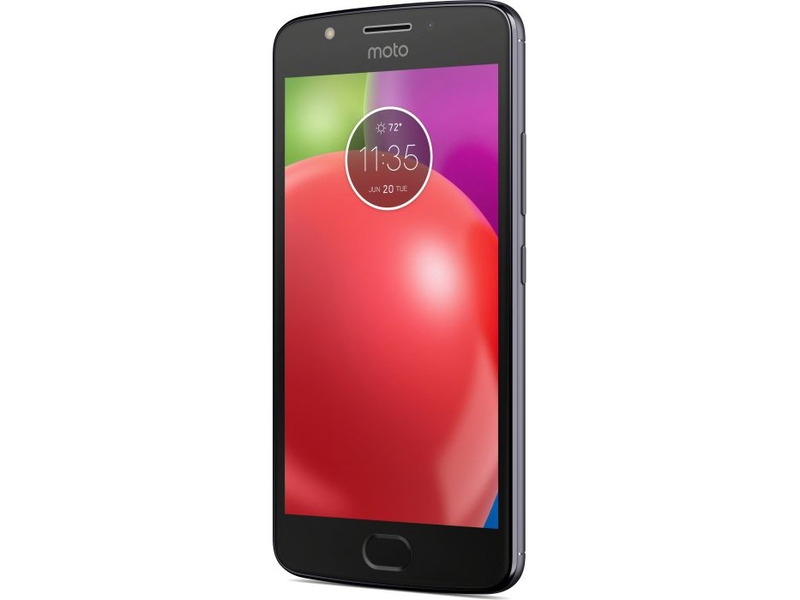 The Moto E4 is cheap at $249, and can be found in a number of places including JB HiFi, Harvey Norman, Good Guys, Officeworks, and online from www.motorola.com.au. At that price, you’re hard pressed to buy something locally that offers better value. Overall I really like the new Moto E4. It’s not a specification beast like some phones, but at the end of the day, you generally won’t feel left wanting. And you’ll still have almost enough to pay next month’s rent, to boot! The Moto E4 is the cheapest Motorola phone but doesn't compromise too much on its amenities. 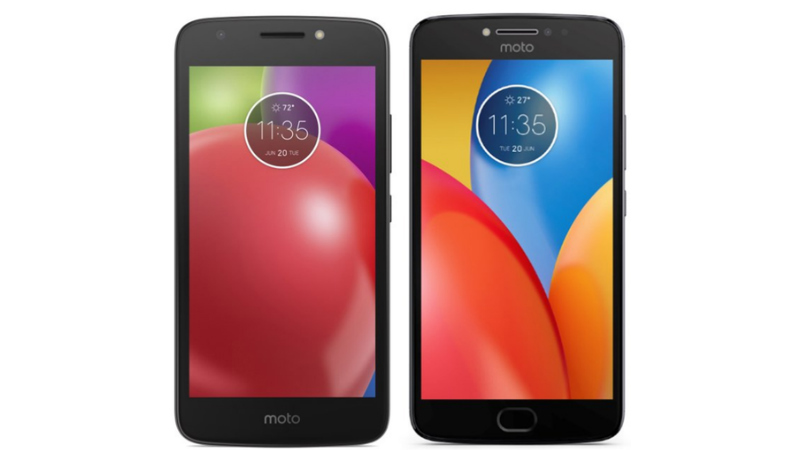 At these prices, the Moto E4 will be competing against the Xiaomi Redmi 4 and Yu Yureka Black, while the Moto E4 Plus will be going up against other smartphones with large battery capacities, including the InFocus Turbo 5, Lenovo K6 Power, and Asus ZenFone 3 Max. It seems that Motorola has once again succeeded in building reliability and capability into an offering equipped with the basics of what we expect in smartphones today – doing so in one very budget-friendly package. This is the sort of smartphone that a person gets when they’ve never used a smartphone before. Or if they’ve only used a Windows Phone device before – or an iPhone 4 or older. If a person has a smartphone they’ve used for the past 6 years and they don’t want to switch to anything fancy, they just want another phone that works and doesn’t have a cracked screen – this is that phone. If you have more money to play with, the $230 Moto G5 Plus has a better camera and longer battery life with a more impressive display. (And Amazon Prime members can get that phone for less than $200 if they don’t mind ads popping up on their lockscreen.) Still, with its bright display, updated Android and decent enough-camera, the Moto E4 is a solid device that’s better than any sub-$100 phone has a right to be. The Moto E4 raises the bar for phones hovering around the $100 mark. Complete with a fingerprint sensor, Android Nougat, a swappable battery and more, this phone gets its kicks by surprising the user at nearly every turn. Stay tuned for the full review for final thoughts. Moto E4 Ventajas y Desventajas, ¿Vale la pena? Positive: Elegant design; metal case; fast fingerprint sensor; good connectivity; nice performance. Negative: Poor display; unsupport waterproof; weak hardware; no NFC. Positive: Fast fingerprint sensor; nice main camera; good display. Negative: Weak hardware; poor selfie camera. 65% Moto E4 – Un tout petit appareil très abordable ! Positive: Solid workmanship; beautiful screen; long battery life. Positive: Solid workmanship; long battery life; nice cameras; good connectivity; decent ergonomy. Negative: Inflexible fingerprint sensor. Positive: Nice design; fast fingerprint sensor; support both dual sim and microSD slot; good cameras. Negative: Short battery life. Das Moto E4 Plus ist eines der vielen Smartphones, die den unteren Teil des Smartphone-Marktes beherrschen sollen. Motorola spielte in den letzten Jahren die Führungsrolle in diesem Segment. Die durch und durch amerikanische Firma entwickelte mehrere Produktreihen guter, billiger Smartphones. Bei einem günstigen Smartphone erwartet man meist ein billiges Design aus Plastik. Doch Lenovo überraschte und verpasste seinen Geräten Metallgehäuse. Das E4 Plus wirkt robust und stilvoll dank des ordentlichen Materials. Das Gerät wird in den Farben Iron Grey, Blush Gold und Oxford Blue erhältlich sein. Das Moto E4 Plus wird von einem Qualcomm Snapdragon 427 Prozessor und 2 GB Arbeitsspeicher angetrieben, dazu kommen noch 16 oder 32 GB Speicher, die sich per microSD erweitern lassen. Für Android und Multitasking ist es ausreichend leistungsstark. Apps werden recht schnell geöffnet, logischerweise ist die Leistung aber nicht so reibungslos wie bei Flagschiffen. Beispielsweise kann es dauern, bis die Kamera auf dem Bildschirm erscheint. Der Fingerabdruckscanner unter dem Display arbeitet präzise. Das Moto E4 Plus ist mit einem 5,5-Zoll-Bildschirm mit HD-Auflösung (1280 x 720 Pixel) ausgestattet. Die Helligkeit des Displays ist in Ordnung, selbst bei Sonnenschein kann man den Bildschirm gut erkennen. Auf der Hinterseite des Gerätes ist eine 13-Megapixel-Kamera, die erstaunlich detaillierte Aufnahmen macht. Wenn genug Licht vorhanden ist, liefert das Gerät wunderschöne, scharfe Bilder. Bei schlechten Lichtverhältnissen gehen die Details verloren. Außerdem sind die Blickwinkel begrenzt. Software war schon immer die Stärke von Motorolas Geräten. Schon seit Jahren können Nutzer auf die neueste Version von Android zählen, und zwar in einer beinahe unangetasteten Form. Stock Android wirkt rein, hat aber gleichzeitig alle nötigen Android-Anwendungen. Lenovo hat auch die Anzahl an zusätzlichen Anwendungen minimisiert. Es gibt eine Moto-App, mit der man bestimmte Gesten einstellen oder das Always-On-Display anpassen kann. Auch die Kamera-App hat einige Extra-Optionen, wie etwa einen Schönheitsfilter. Der 5000-mAh-Akku ist einer der größten und, ehrlich gesagt, tollkühnsten, den wir seit Jahren gesehen haben. Bei durchschnittlicher Benutzung hielt der Akku locker zwei Tage durch. Wenn man besonders sparsam ist, kann man noch einen Tag dazu zählen. Somit ist das Moto E4 Plus perfekt für Menschen, die nach einem einfachen Gerät für Eltern oder andere Verwandte suchen, die ihr Smartphone fast nie benutzen, das Aufladen aber vergessen. Der Akku wird über micro-USB geladen. Obwohl immer mehr Geräte zu USB-Typ-C wechseln, hat Lenovo den älteren Anschluss gewählt. Leider fehlt auch Quick-Charge, das bei den langen Ladezeiten des leistungsstarken Moto E4 Plus besonders wichtig wäre. Für eine volle Ladung werden 3 bis 4 Stunden geschätzt. Mit einem sehr angemessenen Preis, guten Spezifikationen und einem großen Akku ist das Moto E4 Plus durchaus ein attraktives Mid-Range-Smartphone. Das Moto E4 Plus ist ein solides Mittelklasse-Smartphone mit einer überraschend guten Akkulaufzeit. Ansonsten spricht vor allem der große Bildschirm und die gute Haptik für unser aktuelles Testgerät. Wer allerdings Wert auf gute Auflösung, schöne Fotos und schnelle Hardware legt, ist mit dem beinahe gleich teuren Moto G5 definitiv besser beraten. Moto E4 Plus, telefon satın alırken en fazla pil ömrü kaygısı yaşayanların beğeneceği bir model oluyor. Tek şarjla 2 gün boyunca rahatlıkla idare edebildiğiniz telefon, bu anlamda tatmin edici davranıyor. Ortalama işlem gücü ve kameralarıyla da sınıfına uygun olan telefon, 3 GB RAM'e ve Android 7.1 işletim sistemine sahip olmasıyla da rakiplerinden fark yaratıyor. Zira güç olarak kendisiyle yakın modeller daha uygun fiyata bulunabiliyor, bunu da söylemek lazım. Ayrıca çift kamera tercihinde bulunuyorsanız, yine Moto E4 Plus'la aynı fiyata Turkcell T80'i bulabiliyorsunuz; bu da önemli. It’s an E4 with a bigger battery and a comparatively low-res screen. This budget bargain runs for two days. If you’re looking for a decent performing budget phone with massive battery life then the Moto e4 Plus is an excellent choice. If camera performance is more important then look elsewhere. If you’re just looking for a basic, decent performing smartphone in general, then this is a good choice. Keep in mind there are lockscreen ads and added Amazon apps you cannot delete. If you need a phone that rarely sleeps, the Moto E4 Plus’s incredible battery life is hard to pass up, especially for less than $200. The device’s display, camera and performance aren’t the best you can get, not even in a budget phone, but they’re good enough if a lower price tag is more important to you than cutting edge-features. Moto E4 Plus Review – Better Battery Life At a Low Price? For a budget phone, the Moto E4 Plus looks and feels pretty good at emulating a premium phone. Sure, it doesn’t have spectacular features and remains a basic phone at best, but if you’re looking for a phone that will help you last for more than a day, the Moto E4 Plus has enough battery life to help you do so. Overall, the Moto Z2 Force Edition is a solid Android smartphone at a price less than the flagships. There are other compelling smartphones at the same or lower price so you really have to like using one or two Moto Mods to justify the Z2 Force Edition. Now that the Moto E4 Plus is ready to roll in the United States, we’ve got an interesting price/value proposition on our hands. Straight from Motorola online this device is available for $179, no strings attached. As such, this device is quite easily one of the best long battery life basic-function smartphones on the market for this price. The Moto E4 Plus is our low-end battery champ, beating beefy competitors like the LG X Power on endurance. But the added cost of the big battery puts the E4 Plus in a slightly awkward place. At $180 unlocked (or even at $130 on a carrier), it comes very close to the $185 Amazon Prime subsidized entry-level price for the Moto G5 Plus, which has a noticeably better screen and faster processor. Moto E4 Plus First Impressions: Is it a worthy Redmi Note 4 contender? To wrap up, the Moto E4 Plus comes with a metal build, boast some decent cameras and the 5000mAh battery surely looks tempting. On the downside, the phone is powered by an old processor which might affect its overall performance. As for the competition is concerned, the smartphone will compete against, Xiaomi Redmi 4, Lenovo K6 Power, Coolpad Note 5, and Xiaomi Redmi 4. It's a tough job to criticize a $180 handset. The Moto E4 Plus' display is certainly not perfect, its camera leaves a lot to be desired, its performance is only good for basic smartphone tasks. But one can justifiably argue that for this price, the Moto E4 does a good job as a basic smartphone. Positive: Nice design; long battery life; decent cameras. Negative: Poor display; low performance; no fingerprint sensor. Positive: Good cameras; long battery life. Negative: Poor display; weak hardware; unsupport waterproof. Positive: High autonomy; beautiful screen. Recenzja Moto E4 Plus. Bateria 5000 mAh i niska cena – idealny low-end? Positive: Great built quality; big screen; fast fingerprint scanner; 3GB RAM; nice front webcam; long battery life; support both dual SIM and microSD card slot. Negative: Poor display; average gaming performance; high mass. Positive: Good price; elegant design; nice display. Negative: Slippery. Positive: Beautiful design; fast fingerprint sensor; long battery life; support both dual sim and microSD slot; good cooling system; decent cameras. Negative: Bulky and heavy. Positive: Large screen; metal case; decent hardware; high autonomy. ARM Mali-T720: Integrierte Grafikkarte für ARM basierte SoCs mit einem Cluster (T720 MP1) und 600 MHz Taktrate. Unterstützt OpenGL ES 3.1, OpenCL 1.1, DirectX 11 FL9_3 und Renderscript.ARM Mali-T720 MP2: Integrierte Grafikkarte für ARM basierte SoCs mit 2 Clustern (T720 MP2) und max. 650 MHz Taktrate. Unterstützt OpenGL ES 3.1, OpenCL 1.1, DirectX 11 FL9_3 und Renderscript.» Weitere Informationen gibt es in unserem Notebook-Grafikkartenvergleich und der Benchmarkliste. MT6735P: ARM-basierter Quad-Core-SoC (4x Cortex-A53) mit 64-Bit-Unterstützung und bis zu 1 GHz Taktrate. Im Vergleich zum ähnlich benannten MT6735 (1.5 GHz) daher deutlich langsamer. Hauptsächlich in Smartphones zu finden.MT6737: ARM-basierter Quad-Core-SoC (4x Cortex-A53) mit 64-Bit-Unterstützung und bis zu 1,3 GHz Taktrate. 73.85%: Diese Bewertung ist schlecht. Die meisten Notebooks werden besser beurteilt. Als Kaufempfehlung darf man das nicht sehen. Auch wenn Verbalbewertungen in diesem Bereich gar nicht so schlecht klingen ("genügend" oder "befriedigend"), meist sind es Euphemismen, die eine Klassifikation als unterdurchschnittliches Notebook verschleiern.» Lesen Sie auch unsere Notebook-Kaufberatung.